This three-tiered cake was for a 50th wedding anniversary party, and inspired byTiffany glass. 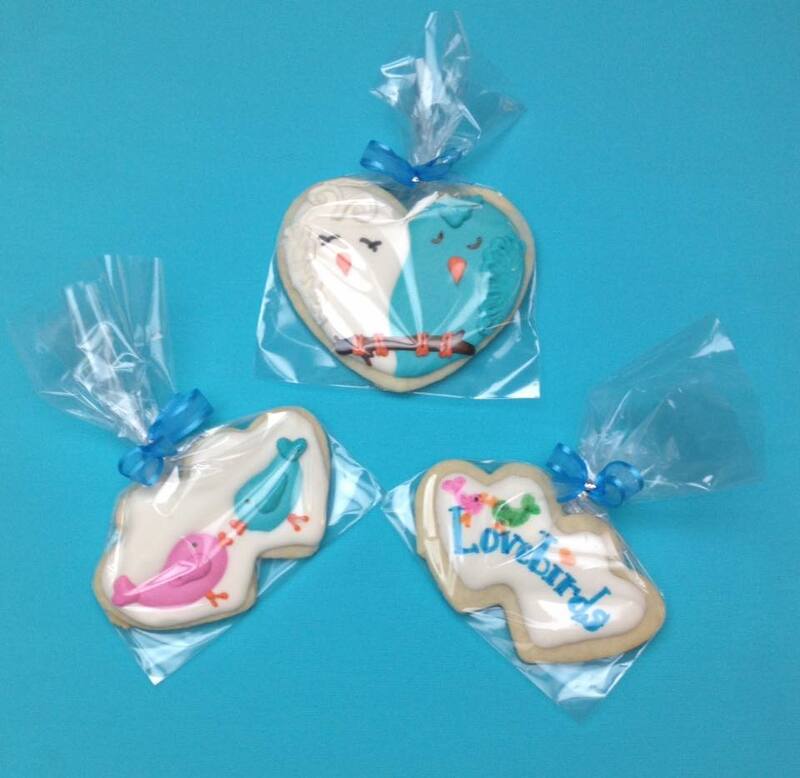 Each layer was covered in white fondant then handpainted with the underlying colors. 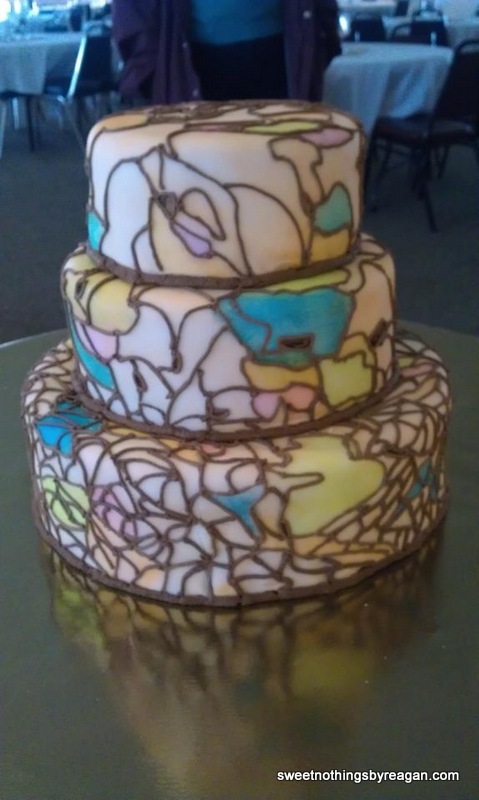 The chocolate buttercream “lead lines” were then piped on to separate the colors and create the stained-glass appearance. Posted in UncategorizedTagged 50th Anniversary, anniversary, cakes, fondant, hand painted, Tiffany Cake, Tiffany LampBookmark the permalink.